Not long before the holidays, Wine Chateau Piscataway hosted a special tasting for members of the local Chamber of Commerce. We opened a number of excellent wines, snacked on some delicious cheeses and cold cuts, and discussed a wide range of wine-related issues (as we do here many times throughout each month). One of the local television stations recorded the event, and conducted interviews afterward with the President and CEO of Wine Chateau, Saurabh Abrol, and with me. Check out the video below--it was a great night. Last week, I had the very good fortune to attend a dinner that featured some truly legendary wines. Come to think of it, though, I probably shouldn’t use the word “featured”--after all, the primary point of the gathering was to celebrate more than three decades of a friend’s business (and his birthday, which falls around the same time). So while he brought along wines that in any other situation would have become the focus of the meal, here they played the far more enjoyable role of simply being the wines we drank at dinner with family and friends. Of course, there’s a caveat here: Anytime you open up three decades of Cheval Blanc, a 40-year-old bottle of Chateau d’Yquem, and a Madeira from the year the Golden Gate Bridge opened (1937), is a special occasion. But the fact that conversation swirled around the wines, and was not wholly about them, made their presence at the table that much more special: We were consuming them the way they were meant to be. Which is to say, joyously. I’ve written about my friend Scot “Zippy” Ziskind before. He’s the owner of the My Cellar wine storage facility and of ZipCo Environmental Services, Inc., one of the country’s most respected custom storage, cooling, and humidification specialists. 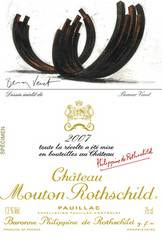 He is also a great collector of wine in general and Bordeaux and dessert wine in particular. It was his birthday, and the anniversary of his business, that we were celebrating. As such, and given the nature of the restaurant at which he and his wife Marcie, my wife and I, and four friends of theirs (including my parents), had gathered, the context could not have been better for popping the corks on these particular bottles. Below, then, are my tasting notes from the evening, but just for the Cheval Blanc. (I’ll be writing up the Yquem and the Madeira in future posts dedicated to those wines, and alongside tasting notes of other vintages for a better sense of context.) All of the wines had been stored in pitch-perfect conditions, which was reflected in their flawless evolution and expression, and enjoyed at Cochon, an excellent, casual, rustic-French BYOB in Philadelphia. Chateau Cheval Blanc 1959 - The nose here can only be described as “warm”--plush and exquisitely mature with hints of gravel, sun-baked clay, and tobacco. There were background notes of dried sage and cedar, too, as well as flowers and a touch of creaminess. All that lushness followed through to the palate, which coated the tongue yet still remained light and silky. Perfectly concentrated raspberry, raspberry cream, and spice notes dominated, and ultimately gave way to a long finish rich with violets and cherry-liquor-filled chocolate. A perfect mature Bordeaux, and as good as it gets. 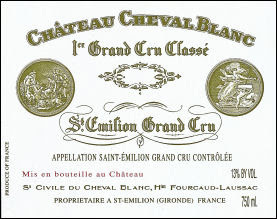 Chateau Cheval Blanc 1975 - Of the three vintages of Cheval here, this one was the most classic expression of the great chateau. The nose was quintessential Bordeaux, with roasted licorice, cigar humidor and tobacco, charred green bell pepper, grilled sage, smoky raspberries, leather, and a more pronounced gravel note than the 1959. The palate offered even more, with a swirl of flavors including warm stones, black peppercorn, black raspberries and blackberries, leather, cream, cigar tobacco again, and flowers. The long finish, still-fresh acid, and perfect balance promised another 5-7 years of evolution before it plateaus. Chateau Cheval Blanc 1986 - You know it’s a great night when the 1986 is the youngest wine on the table. What really struck me, however, was the learning opportunity that this one provided. For even though it was nearly 24 years old, it still showed a distinctly youthful expression of Cheval with its aromas of wet stones, lighter-on-its-feet leather, lavender, and cigar tobacco, all of it lifted by the lovely perfume of cedar and sandalwood. This last Cheval of the night was clearly the youngest on the palate, too, with restrained crushed purple berry fruit, green peppercorn, thyme, fennel fronds, melted licorice, and the telltale gravel and clay that made itself known in all three of the bottles. The finish--incredibly long, balanced, and bright--promised another 12-15 years of evolution, and sang with oolong tea, dried sage, cherry, and cigar tobacco. Not a bad way to spend a week, right? I am among a very fortunate group of wine journalists, bloggers, and members of the trade to have been invited up to the city for several days of seminars, tastings, and dinners. And while I’ve attended many tastings and events before, this one promises to be different in a number of ways, not least of which is the high level of attention being paid to bloggers and the ever-more-important role of online and social media in the world of wine. And then, of course, there are the other seminars and events. 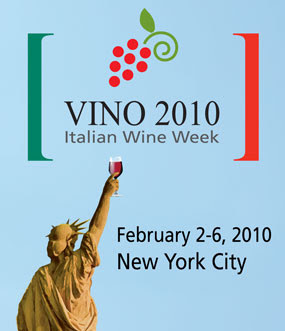 That’s the beauty of large-scale gatherings like Vino 2010: They provide the chance to not only delve into specific facets of the wine world--from seminars on the outlook for the 2009 vintage in Italy, to a guided tasting of the great Sardinian red grape variety Cannonau, to a mammoth tasting featuring more than 300 Italian wine producers, to wine dinners featuring specific regions--but also to take stock of what still remains one of the most exciting, interesting, and beloved wine-producing countries in the world. I’ll be posting regular updates throughout my three days in New York next week, and I’d love for readers of UncorkLife.com to take advantage of all the opportunities for online interaction as possible. Please don’t hesitate to ask questions and get involved throughout. Much has been made of Columbia Crest lately, which produced the 2010 Wine Spectator Wine of the Year--the 2005 Cabernet Sauvignon Reserve. And while there’s not much more that can usefully be added in terms of the discussion of its crowning, a quick look at the big picture is always instructive. In fact, the main reason I’m using today’s blog post to link up and discuss Columbia Crest isn’t only because of its Cab, but, rather, because of the range of excellent wines I’ve tasted from it lately. 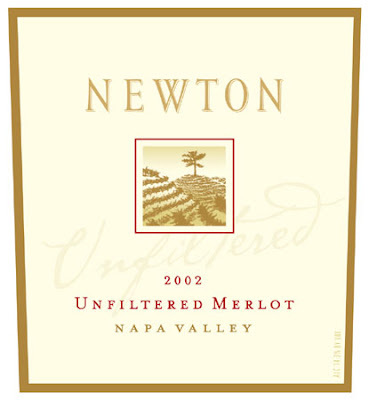 In particular, we’ve been pouring the 2005 Merlot Reserve for certain classes at The Wine School, and every time I open a bottle, I’m amazed by the way it balances complexity with drinkability, a lush texture with enough structure that it benefits from a couple of hours of breathing, and beautiful ripe fruit with a real sense of terroir. 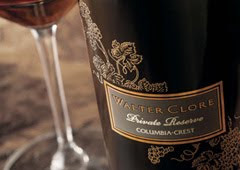 The Quarterly Review of Wines recently ran an interesting piece on Dr. Walter Clore, a onetime consultant to Columbia Crest (he passed away in 2003) and namesake of one of its best bottlings, the Walter Clore Private Reserve Red. The Reserve line in its entirety, in fact, notes QRW, “represent[s] the pinnacle of winemaking at Columbia Crest.” I’d take it a step further: They are often among the best, most drinkable wines in the state. And these days, they only seem to be getting better. The geography-based classifications of French wine are generally seen as among the best in the world (Italy is certainly up there, too). And though the intricacies do cause a bit of natural confusion when a consumer is just learning them--place-names can be daunting, after all, especially in a language that’s not necessarily spoken by the consumer--they ultimately lead to a far deeper level of understanding not just when it comes to the individual wines, but to the national wine firmament as a whole. Within the French AOC breakdown, Burgundy stands apart as a thing of particular beauty. It can be devilishly confusing, sure, but the level of specificity it achieves contains something of the miraculous--wholly appropriate considering its early-on reliance on the work of local monks. Indeed, Pinot fans the world over still look to Burgundy as the benchmark of quality and site-specificity in a wine world ever more planted to their favorite grape variety. Chambolle-Musigny, Vosne-Romanee, Aloxe-Corton: These appellations, and the great vineyards within them, indicate holy ground of sorts among followers of the cult of Pinot. Clarke continued: “New Zealand is entering into the next stage of its development in contemplating and legally recognizing its terroirs,” he said. Still, even if New Zealand doesn’t enshrine the differences between adjacent vineyards in, say, Marlborough, quite as exactly and minutely as the Burgundians have with their land throughout the Cote d’Or, it seems to me that the fact that they are even considering such a system is a good sign. It implies that they have moved on to the next phase of their national wine life. And while this next step is bound to be difficult, fraught with frustration and occasional rancor, and hard to pursue, it seems necessary and, ultimately, likely to be beneficial to both those in the New Zealand wine industry itself and to consumers: A tasty victory for everybody. This time of year, lots of predictions are being made about the state of the wine world in the coming year (we’ve even done a bit of that here!). But the truth is that none of that matters all that much if consumers don’t pay attention to what they drink. It’s way too easy, after all, to simply pop the cork on whatever bottle of wine you have at your disposal, drink it without much thought, and move on to the next one. Of course, you don’t want to obsess over every wine you drink--some of the most enjoyable ones don't really stand up to that kind of scrutiny--but you should pay attention every time you open a bottle. 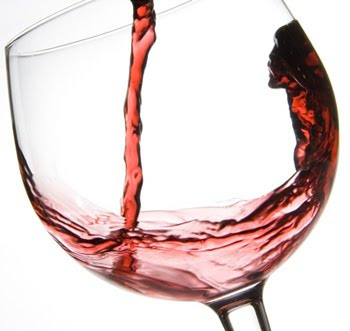 That, in turn, will increase your basic wine knowledge, which will lead to greater enjoyment of everything you try. Following this advice alone won’t turn you into a wine expert, but it will help you become a more knowledgeable wine drinker, and that leads to more pleasure in the long run...which is what it’s all about. 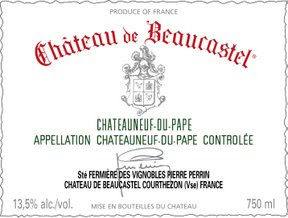 The nose here is beguiling, its high-toned notes of black cherry, sous bois, mushroom, and spice heading in the direction of Burgundy but kept firmly rooted on this side of the ocean by its effusive hints of cola. All of this is beautifully balanced, and on the palate, lovely fruit comes soaring through. Cream soda, sweet spiced cherries, juicy, concentrated berry fruit, and a hint of milk chocolate and caramel lead to a finish that turns more earthy yet still stays refreshing. This is a muscular wine that never loses its sense of elegance, and reminds me, in certain regards, of a sort of New World Gevry-Chambertin. 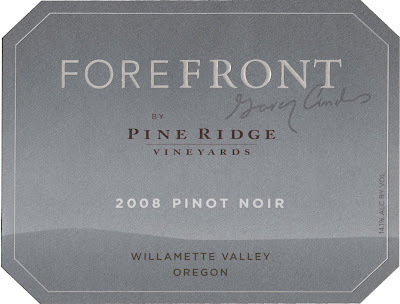 Rarely is Willamette Pinot this well-crafted, and this expressive, so affordable. In this season of predictions, I thought that today would be as good a time as any to make one regarding white wine: In 2010, we will see more people discovering, trying, and falling for whites that don’t fit the usual Chardonnay or Sauvignon Blanc mold. Not that there’s anything wrong with those wines: Some of the world’s greats are produced using these two grapes, from Meursault to Bordeaux Blanc and a whole range of examples in between. But the white wine world is far larger than just its two most famous grape varieties, and the range of styles in which whites can be made extends well beyond these two examples. The problem is that white wine still carries somewhat of a stigma. Indeed, I cannot count the number of times that I’ve heard otherwise sane people say that they really don’t like white wine all that much--which, it seems to me, is a statement predicated almost entirely on a pretty serious fallacy: That all white wine tastes alike. Which, of course, it doesn’t. The problem is that, for a long time, the white wine world was dominated by the two grape varieties noted above. But these days--finally!--we’re not only seeing more unusual whites reaching these shores, but a slow shift in the way that consumers look at them and a greater willingness to try them. Last night, for example, I attended the opening party for a highly anticipated, seriously beautiful new restaurant in Philadelphia. R2L, on the 37th floor of the city’s iconic Two Liberty Place tower, is the latest project of esteemed Chef Daniel Stern. His food has always combined a sense of comfort and whimsy with pitch-perfect technical proficiency and a laser-like attention to detail. And as in his previous restaurants, the drinks program here has been ingeniously created by Beverage Director and Sommelier Ryan Davis, whose tastes--and lists--encompass, seemingly, the entire world of wine and wine styles. 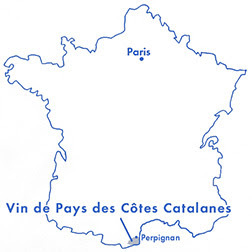 Last night’s complimentary white wine was probably the last thing that guests expected: The Domaine Lafage Cote Est, an aromatically complex, dangerously gulpable blend of Grenache Blanc, Chardonnay, and Marsanne from the still-relatively-unknown Cotes Catalanes in Southern France. This wine refused to fit neatly into any of the typical white wine categories: It wasn’t oaky, it wasn’t buttery; there was strain of minerality but it refused to fall into the realm of the flinty; the fruit was fresh and bright, sure, but not overtly sweet; and the texture remained light on its feet while still maintaining a sense of presence on the tongue. And it was fantastic with the food--sipped alongside delicate, hearty risotto arancini, for example, it was perfect. In other words, this was exactly the kind of white wine that most people don’t drink. For that matter, it was exactly the kind of white wine that most people don’t even know exists. But they will in the coming year. Because none of us can possibly stay engaged in and passionate about wine if we always drink the same thing. Luckily for us all, there are more options than ever , and they are absolutely worth exploring. Even if you think you don’t love white wine. Still almost defiantly dark, even nearly seven and a half years after the fruit was harvested, the only indication of this wine’s age, at least as far as the color is concerned, comes at the edges of the liquid, where hints of brick come into play. The nose starts off juicy, but quickly turns toward moist red clay, loam, and tobacco, with hints of blackberry and a flutter of licorice hovering somewhere in the background. On the palate, this seductive, perfectly structured Merlot coats the mouth with a velvet texture that still retains its sense of freshness. Cinnamon spice and cigar tobacco add depth, and flashes of burst blackberry snap at the back sides of the tongue. The finish lingers on, perfectly balanced and fresh in the beginning and then growing darker, into more of a compote-like expression, as it fades. This wine is at its peak right now, and absolutely irresistible. 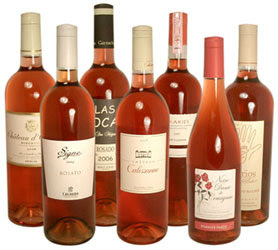 Wine journalists and other professionals have been lauding the uptick in rosé’s popularity for years. Once the warm weather rolls around, all of the magazines and blogs will surely run their annual reports on just that. And, surely, readers of this blog will find themselves at a café that first sunny day in April or May surrounded by sweat-beaded glasses of pink wine. But what makes this article so interesting is both the timing (in the dead of winter--certainly not rosé-reporting season) and the content (hard numbers that back up what we’ve all suspected for years). So where is all of this going? My prediction is that, while affordable, quaffable rosé will continue to grow in popularity and consumption, we will see a contemporaneous market arise for pricey, so-called “serious” bottlings. Whether this will prove to be a positive development remains to be seen. Rosé, after all, has traditionally been about food-friendly, easy-drinking, affordable wines, not bottles that demand a lot of money and time in the cellar (they really need none of the latter). Predictions aside, though, this growth in the rosé market is a great thing for the wine business itself and for consumers. The more rosé available, after all--and the more that consumers all over the world are willing to try and fall in love with something new to them (like rosé)--the better it is for all of us. A more diverse wine world, after all, is a far more interesting one. Last night, my wife and I celebrated our 6th wedding anniversary at one of the best restaurants in America: Talula’s Table, in Kennett Square, Pennsylvania. Why is this relevant to a wine blog? Because it highlighted, yet again, how versatile mature wine can be. As always, the meal there was spectacular (the menu is below). And, as so often seems to be the case, it was the mature wine that was the most food-friendly. All of the wines were excellent, mind you (the 2005 Hartford Court Sonoma Coast Land's Edge Vineyards Pinot Noir is drinking great right now, all sweet ripe cherry fruit, licorice, and forest floor), but it was the 1993 Chateau de Beaucastel Chateauneuf-du-Pape that was the wine of the night. Not only was this a wine at its peak, but its fully-evolved tannins and lingering sense of freshness made it a perfect pairing partner for much of the meal. And while the wines of the Southern Rhone are known for their power and spice, this one had evolved into something altogether softer and more gentle. It still had the structure to stand up to the venison course, but it also possessed just the right amount of subtlety to work brilliantly alongside the confit of canadian goose, as well as the winter kale soup with Burgundy snail tortellini. The point is that many pairing rules go out the window when older wines are involved. The magic that time works on the best bottles allows them to match up with dishes they never could have quite so well in their youth. That alone--not to mention their sheer deliciousness apart from food--justifies the patience required to hold onto great bottles in the cellar until they are ready. And to open them at great restaurants, with family and friends, and savor every sip of them. Bordeaux, as I’ve reported here before, has been back in the news. 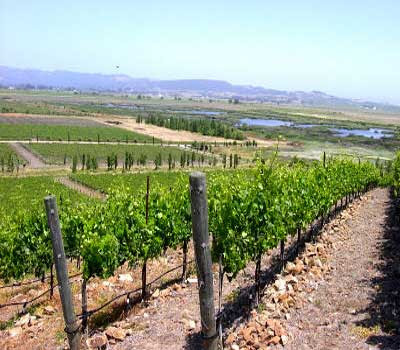 All of the hype behind the 2009 vintage--or, at the very least, the harvest and fruit-quality--has led to the region assuming the desirable place to which it’s accustomed. Everyone, it seems, is thinking about whether it will live up to the early promise and, if so, how much to invest in it when the time comes. This follows several years in which Bordeaux was a bit of an uncertainty. After all the drama (and, to be sure, it was well deserved) surrounding the 2005 vintage, the Bordelais arguably made a series of missteps when it came to their pricing, maintaining them at levels based more on what the 2005’s commanded than what was perhaps justified by the merits of the vintages that followed, ample though they may have been. But the 2009, as I’ve said, has been generating some exceptionally positive buzz. Still, the world of wine moves on, and there’s plenty of wine to think about between 2005 and 2009. That would be a significant nod to the ever-growing importance of the Asian wine markets, and an excellent symbol of the increasingly global nature of wine. And that benefits everyone. High-alcohol wines are causing a fair bit of discussion these days. With abv levels creeping ever higher, I find myself involved in more and more conversations (and arguments!) 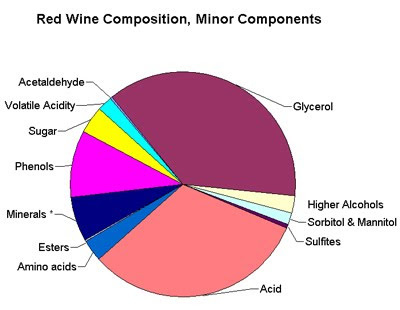 about what constitutes an appropriate level of alcohol in a bottle of wine. Personally, I tend to shy away from super-high-octane wines: I often find them hot and, worse, unbalanced. Of course, not all wines with higher alcohol levels are unbalanced, and I’ve certainly enjoyed a number of wines in the 15% range that have found an excellent middle ground between power and finesse. The key, as always, though, is that sense of finesse. And while wines in the 12.5% - 14% range can absolutely be unbalanced, it seems as if higher octane bottlings run a somewhat greater risk. How often, after all, have you opened a bottle of, say, super-ripe Barossa Shiraz and found it lacking in finesse? The best producers, of course, can craft wines of power and elegance, but it’s tough. Of course, all of the generalizing and intellectualizing goes out the window in the face of great wine, no matter how much alcohol is in it. I've had wonderful bottles at all abv levels. Great taste, after all, is as personal as it gets. 2010: It seems like a date out of a science-fiction story--or, in reality, a Stanley Kubrick movie. Once upon a time, the year we now find ourselves kicking off seemed so far off and futuristic that it was almost impossible to imagine what it held in store. Which is why my first post of 2010 is about--what else? !--a machine that can actually taste a wine and perceive its vintage and constituent grape varieties. Not that this will ever replace the supremacy of the human palate in matters of taste, of course. But it may, as the news story below points out, prove useful when it comes to determining whether a bottle purchased, say, at auction, is actually what it’s supposed to be and not a fake. It’s fascinating technology, and a real indication of how far we’ve come in the world of wine.